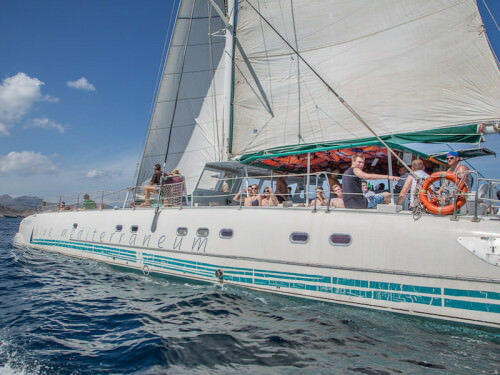 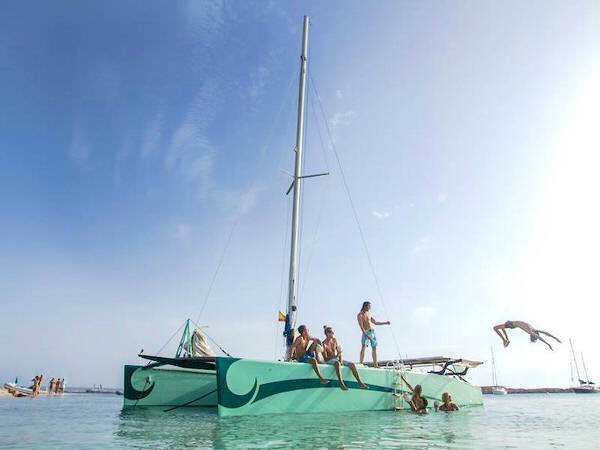 It’s just the complete catamaran possible to book. 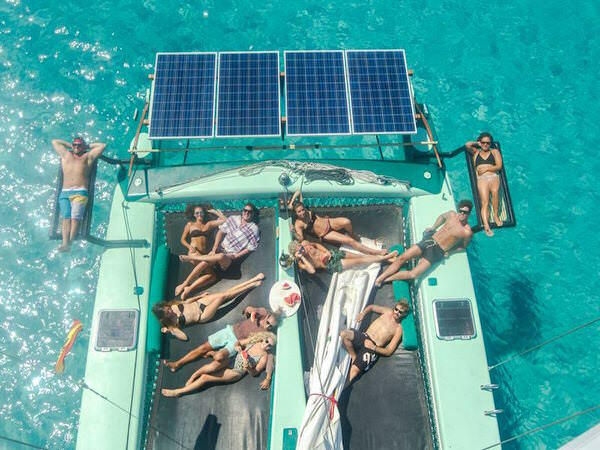 You are more than 10 people? 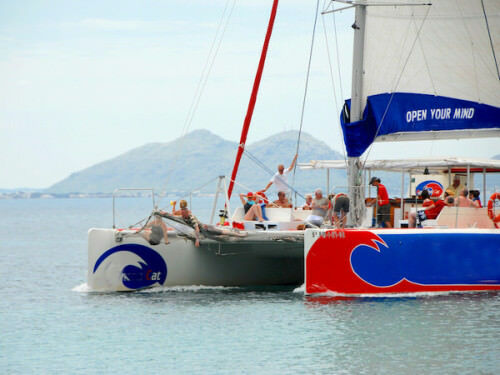 No problem, we can offer 2 identical catamaran, sailing the whole day together and anchored together. 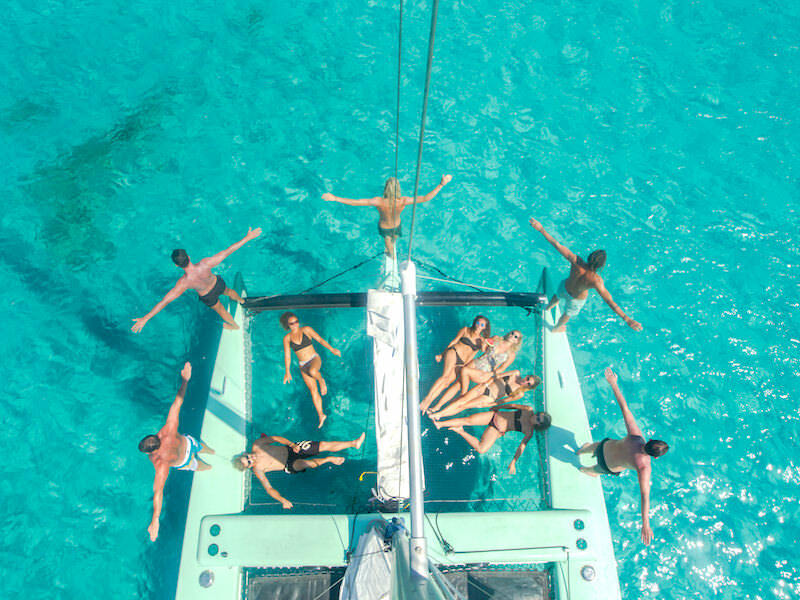 Please inquire separately. 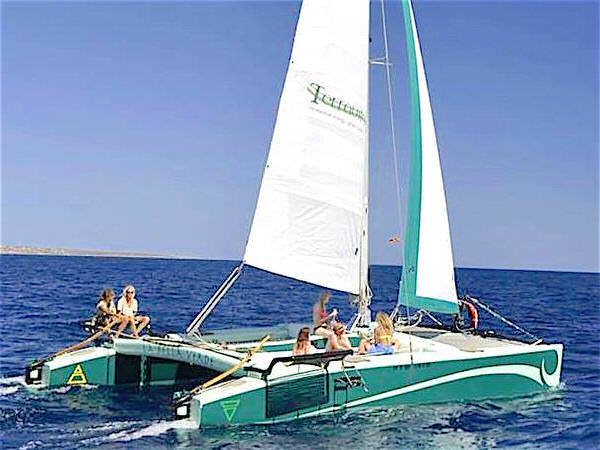 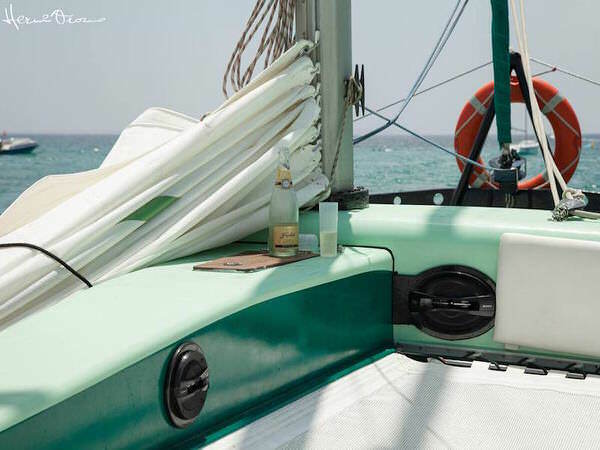 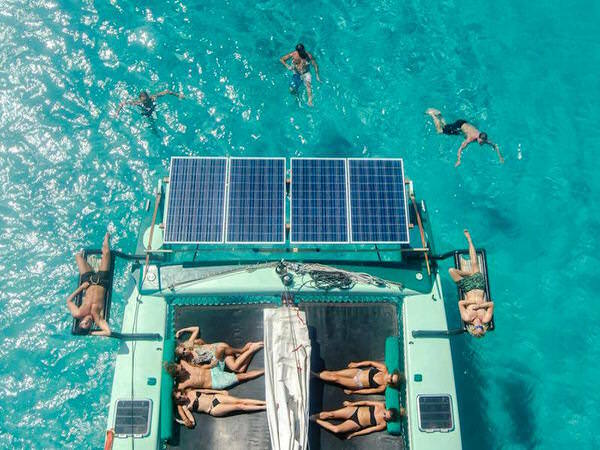 This catamaran is the first and only in the Mediterranean, which drives 100% completely environmentally. 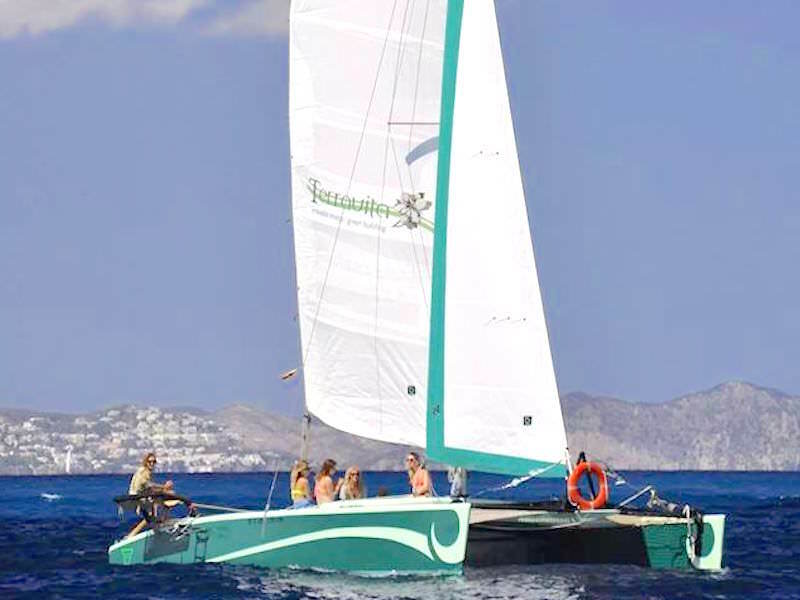 If it can not sail, it goes with electric motors, which you will not hear. 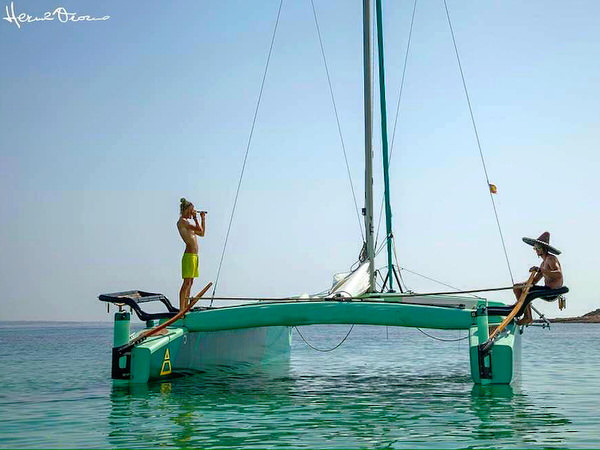 A truly unique sailing experience: quiet and clean! 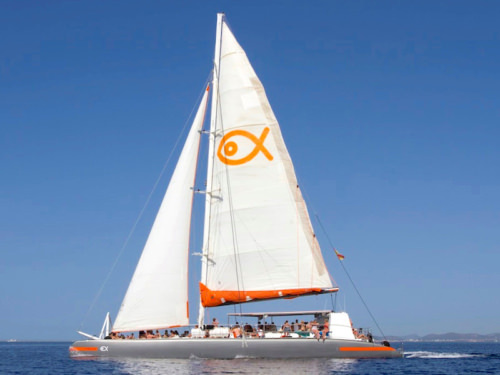 The normal sailing route is according Espalmador and Formentera, but it is also a cruise to Es Vedra possible. 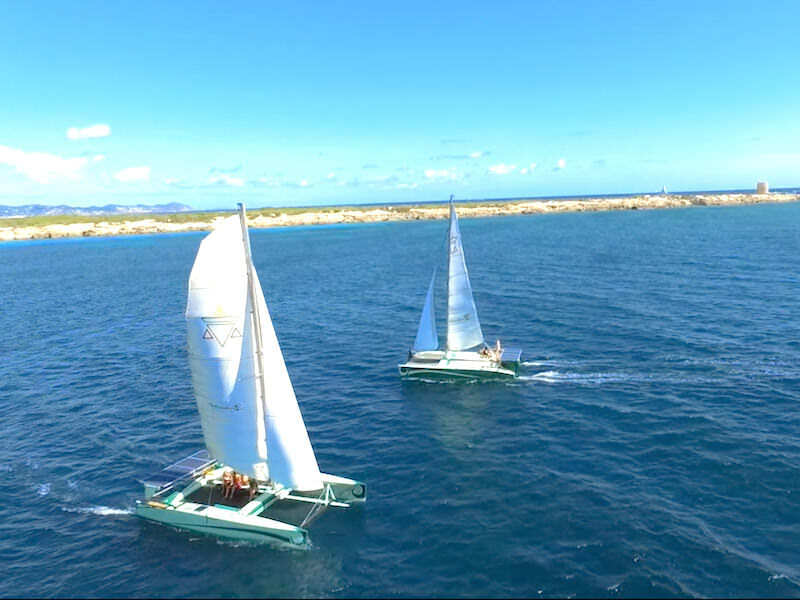 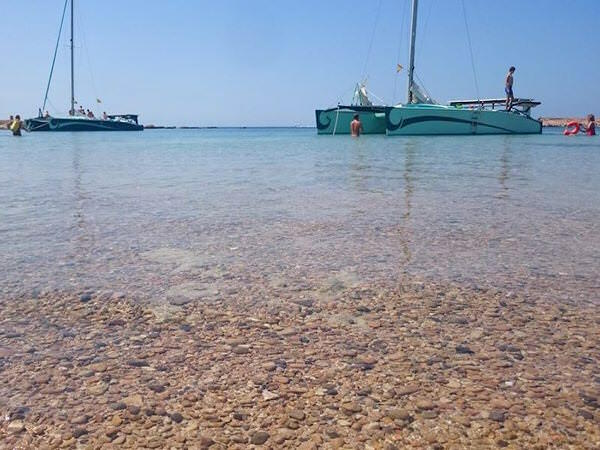 Due to the low draft they can go very close by anchor to the most beautiful beaches (with a truly Caribbean flair) in Formentera.